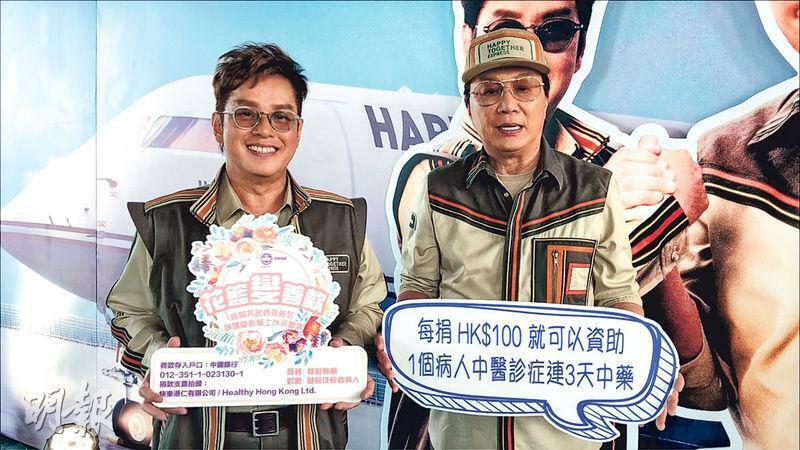 Sam Hui Koon Kit and Alan Tam Wing Lun will perform 11 shows at the Hong Kong Coliseum starting on August 5th. Like before, they urged good friends and fans to make donations in lieu of flowers to the charity organization Healthy Hong Kong to help seniors in need receive free Chinese medical services and treatment; the names of all donors will be posted on the appreciation board instead of the sea of flowers at the venue to express their gratitude. Hui Koon Kit and Alan felt that this was a win win situation. Flowers usually would only last a few days, after they wilted they would become trash. If the money went to charity instead it was both environmental protection and helping those in need.